This is my favorite post to write each year. There are many reasons why but the main one is that I love how it tasks me with reliving my year in music. I have re-read every review that I have written in the past year. I have thought about every show and every individual set that I have seen in 2010. * I have made numerous lists of the sets I have seen, and I have broken them down into categories to determine the best of the best in each. I always enjoy the concert-to-concert combat that rages in my memory as I try to boil down a year’s worth of experiences into a shortlist that best represents the year. I am equally surprised and proud to discover that this is the sixth year that I have completed this process of list making. 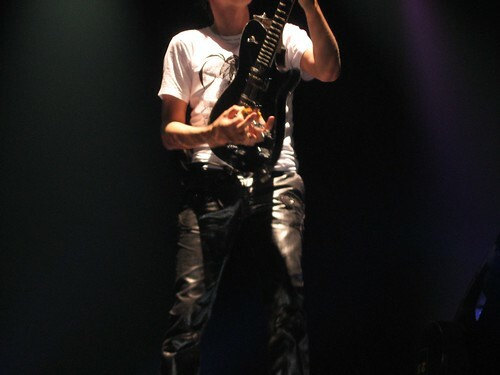 All photos by Andrew Markowitz. Okay DC, just this once I’m going to say I told you so. I mean, I tried so hard to get y’all to go to this I even gave away tickets for it. If you are a fan of electronic music and you skipped Underworld on Monday night, even after all my prodding, then there really is no hope for ya. Underworld came, saw, and conquered at the 9:30 Club on Monday night with a rare club show that made the other “Best Electronic Concert” contenders of 2010 look like a bunch of chumps. * Their show on Monday was operating on an entirely different level from their peers. It was a techno-poetic dream and irresistible beat factory all-in-one. 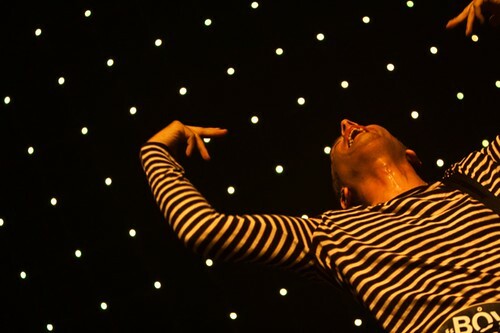 I have been telling my friends and family that 2010 is in the running for the most impressive year of live music of my life, and that if Underworld were to magically be scheduled to play 9:30 Club this year, then that would be the topper. Well guess what folks? It happened and Underworld’s amazing 9:30 Club performance put 2010 right over the top to officially be the best year of live music EVER! This week we are giving away a pair of tickets to one of my most anticipated concerts of the season: Underworld at 9:30 Club on Monday, October 25th. Underworld are an incredible experience live. Every fan of electronic music owes it to themselves to see Underworld live every chance they get because Underworld are quite simply the best live electronic dance act ever. 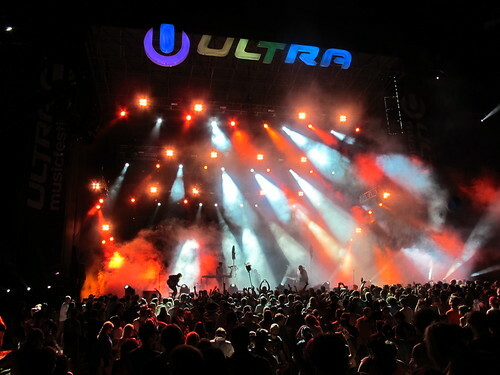 I have been to some massive live parties in my time, I have seen just about all of the big names in electronica perform live, and I have never had as much fun as I have had at the three Underworld concerts I have attended. If you can’t tell by now, I am totally losing my sh*t over the fact that not only are Underworld performing in DC for the first time in years, they are doing it INDOORS at the best club around!!! With their latest album “Barking” (their best in a decade) Underworld are set to dominate the dance floor in two weeks. I am so excited to hook up some lucky reader with tickets to what I am sure will be the electronica concert of the year. * See you on the dancefloor! For your chance to win these tickets simply leave a comment on this post using a valid email address between 9am and 4pm today. One entry per email address, please. Tickets for this show are also available through Ticketfly If today doesn’t turn out to be your lucky day, check back here each Wednesday for a chance to win tickets to other great concerts. Hey DC, I don’t know if you noticed but Underworld at the 9:30 Club quietly went on sale this week. Yes you read that correctly. 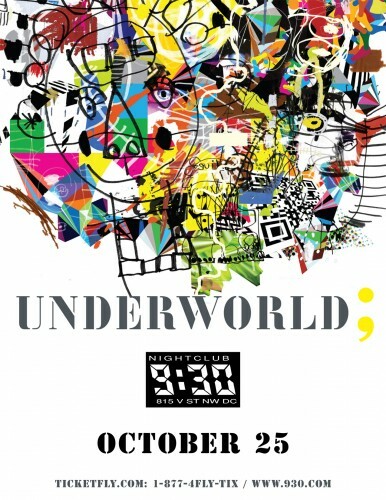 Underworld are playing the 9:30 Club on October 25th! Simply put Underworld are the best electronic live act I’ve ever seen. Even though I have seen them three amazing times in the past – seeing Underworld perform on the 9:30 Club’s soundsystem is one of my wishlist concerts. I’m announcing this onsale now because I don’t want any DC fans of this amazing, legendary electronic act to miss out on what is sure to be an incredible show. 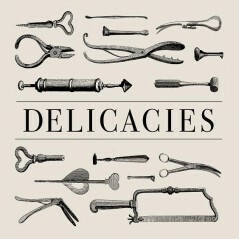 Listen to their new album (instant classic) streaming for free on Myspace.